Makeup “pin-up” originated in the late 40’s – early 50-ies of the twentieth century. It all started with the usual drawings: posters in the style of pop art, lighters, playing cards and calendars that delighted several men generations. They portrayed very beautiful and often half-naked girl in frivolous poses. These women become trendsetters, the epitome of a world of beauty and sexuality. Now pin up in trend again. Modern women copy makeup of the most famous pin up models – Marilyn Monroe, Bettie Page and other. Queen of burlesque, Dita Von Tees, breathed new life into old look, and many Hollywood stars use it in their careers – Beyonce, Rihanna, Christina Aguilera, Katy Perry etc. Want to know how make this make-up? Follow next page! If you think that pin up is only for white women, search movies with Dorothy Dandridge – “african Merilyn”, first first African-American actress nominated for Oscar award! 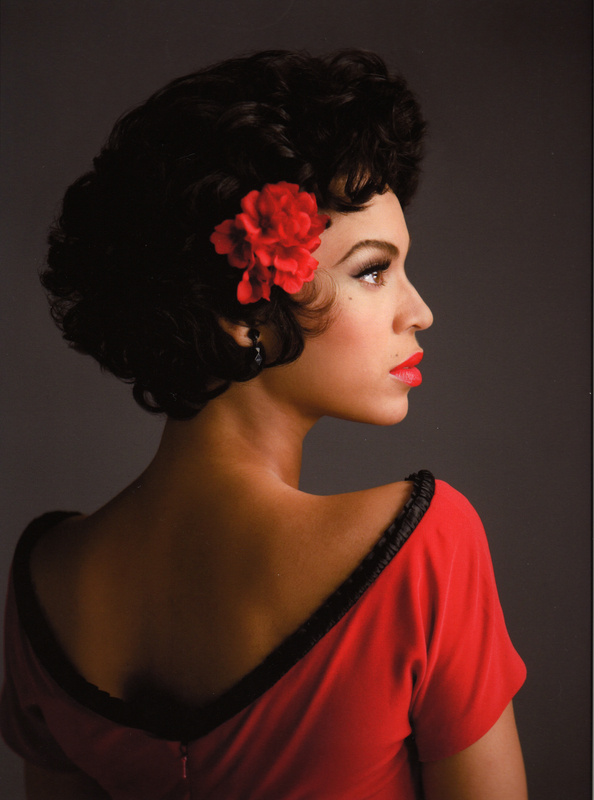 This beutiful woman was an icon of black pin up! Beyoncé’s official video for ‘Why Don’t You Love Me’. 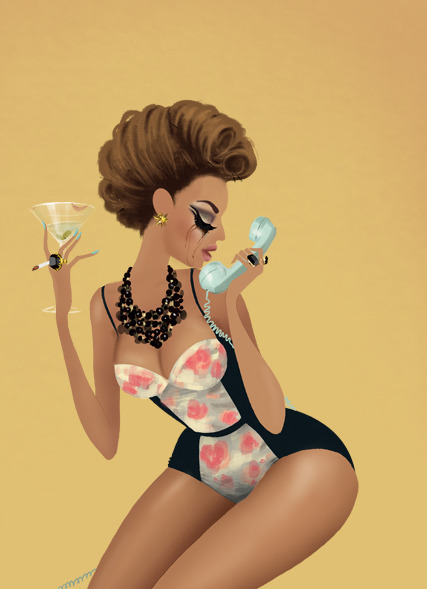 Click to listen to Beyoncé on Spotify: http://smarturl.it/BeyonceSpot?IQid=BeyWDYLM As featured on I Am… Sasha Fierce. All you need to apply this trendy makeup you can buy on JiJi! It is necessary to take into account the fact that the face color, as a rule, should be as light as possible, especialy near eyes – look on Beyonce! Traditional pin up makeup means tone natural shades. And all because the perfect skin tone, the greater and more expressive look up eyes and painted lips. Before makeup clean and scrub your skin, apply moisturizing cream and make-up base depend on skin type. 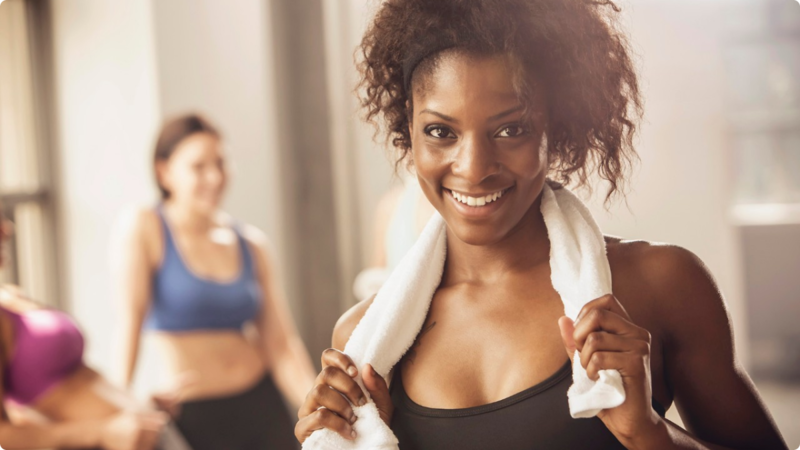 Remember, most importantly – a perfectly smooth skin healthy color. Proper application of foundation always carried by a lightly pat. To make a sculptural relief and shape of the face, respectively, much more beautiful, it is necessary to highlight the T-zone. It can be done by mixing the powder with shimmering transparent particles (it should be on the one shade lighter your skin) and rubbing of the mix on the cheeks, nose and forehead. And in order to remove dark circles from lack of sleep or stress under the eyes and fine lines, handy concealer, which must be carefully spread on the area of ? ?the lower and upper eyelid. Makeup in the style of pin up has specific steps of applying make-up, based on the details and elements that are formed into amazing picture. Therefore, be sure eyebrows need attention too. The best option to draw the eyebrows are black and brown pencils. Keep the line as carefully as possible to subsequently eyebrows did not look silly or ridiculous. So, for eye makeup, use the most bright palette of shades, such as white or beige tones, pink or gold – for the base, and to highlight the crease on the upper eyelid is necessary to use a darker color. Whatever your shadow, eyeliner always remain a necessary element of the image of pin-up. They should be drawn accurate and clear, expand and take off from the upper side of the brush strokes. But if you do not own a perfect the art of applying the liner, it is best to take advantage of the classic time-tested option – pencil. To start to draw them a thin line as close to the lash line in one eye and the other. If you are satisfied with the result, gently swipe eyeliner on the planned path. Eyelashes with such a make-up should be qualitatively dyed black mascara. You can also use the fake eyelashes, like Marilyn. As you can see, the art of eye makeup includes several stages. If you want to master it, you will succeed! Take a lip pencil on the darker tone of lipstick to outline lips, try not to out of their natural line. Next, blend a little circuit and start the process of completing the image. Tend stylists advise to start applying lipstick from the center, gradually moving to the edges. 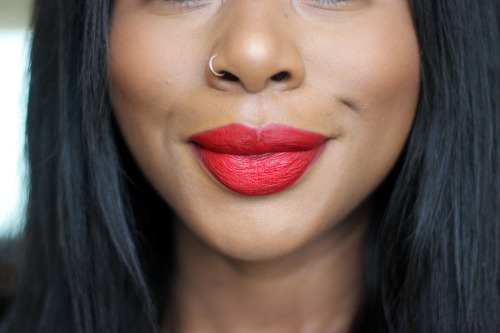 Once you follow carefully blot lips with a napkin and refresh lipstick. If it is necessary, the result obtained just a little powder. Done! You look just awesome! All men will accompany you with compliments. 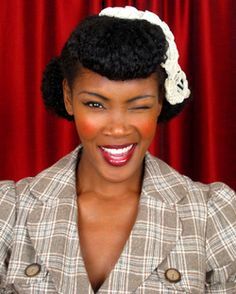 And in everyday life the classic way in style pin-up can take advantage by combining black eyeliner and red lipstick to make you look maximally feminine!